It’s about 10 years now that I’ve been mooching around in elderly land rovers. That was (past tense) 10 years in which I’ve never had a breakdown that’s stopped me from getting on my way. I’ve never had any major issues, and anything that has gone wrong I’ve always been able to fix en-route. I put this 10-year run partly down to the fact that I keep on top of maintenance, but also the inherent simplicity of the vehicles. This simplicity means that anything minor that has gone wrong mid-journey, I’ve been able to sort with the relatively basic tools I carry around. 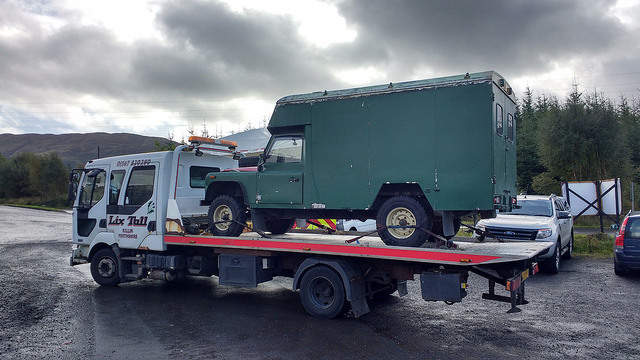 That was until this week, when I was driving the 127 up to Fort William for a diving course. When I turned the ignition key to set off, I thought there was something a bit odd about the dash – I couldn’t put my finger on it, so headed off. This was my first mistake (actually my first mistake was about two years previously, but we’ll get to that). After I’d been driving a while, I thought the temperature gauge was reading a smidge low. Not ‘all the coolant has fallen out’ low, but just below the half way mark on the gauge where normally it’s bang on half way. I put it down to the manky weather (Storm Ali was in full swing) and kept going (next mistake). 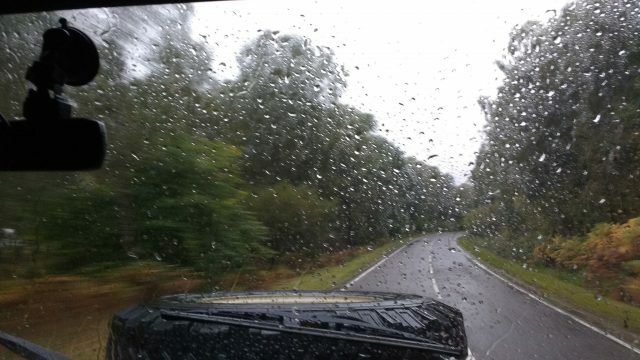 The rain started when I was just past Dalwhinnie, so I stuck the wipers on. They went really, really slowly. Oh no, thought I, one of the wiper wheelboxes has seized up. They could barely climb up the screen, so I waited for the fuse to pop. It didn’t, which was odd – if the motor was struggling normally the fuse would go. I was just wondering what else what might have gone wrong (dodgy earth to the wiper motor, perhaps) when the v8 started coughing and spluttering. I coasted off the road and killed the ignition. I tried to restart, and all I got was a click from the solenoid. Suddenly everything became clear. Temp gauge reading low? Wipers struggling? No starter motor? All symptoms of low battery voltage. A quick check with the voltmeter confirmed the situation. My righteous chariot had run out of electricity. Botheration. The idea with the charge light is that it lights whenever the alternator isn’t generating power – so it should light whenever the engine isn’t running, and if the alternator stops generating. In this case it hadn’t lit up, so I had no idea that the battery was being discharged while I was driving. Due to the weather, I’d had the lights on, heater on, plus the dashcam, also my phone was charging… The battery had no chance. 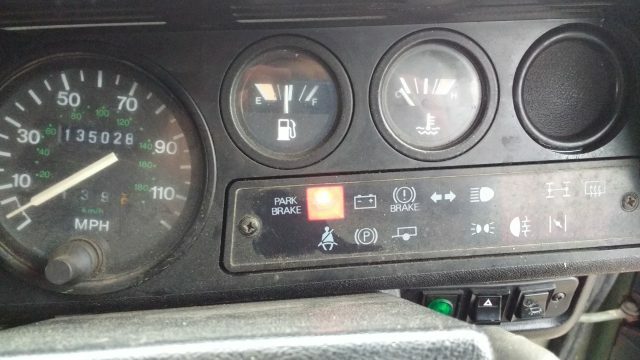 The 127 has a leisure battery, used to run the lights, heater etc when parked up. In an emergency, I should have been able to hook it up with jump leads and use it to start the engine. Unfortunately, the leisure battery is disconnected from the main battery with a manual switch – when I park up, I break the circuit between the two batteries to stop the main battery getting run down. For normal usage, this works fine. I had only considered ‘normal’ usage when I set it up this way though – I hadn’t considered the main battery draining the leisure battery due to alternator failure. 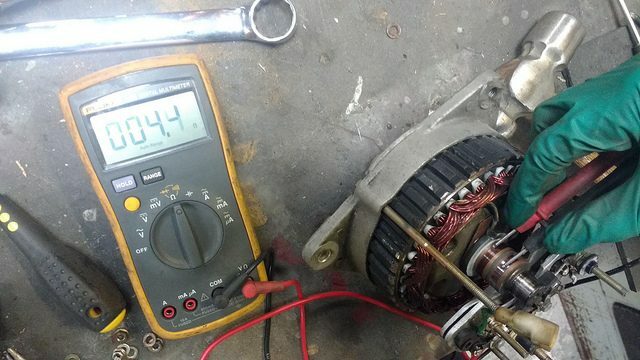 The sensible man would have fitted a voltage sensing relay rather than the manual disconnect. The leisure battery would then have disconnected when the main battery voltage dropped. With the manual switch, the leisure battery remained connected, so when the main battery died, BOTH batteries died, leaving me with no backup. 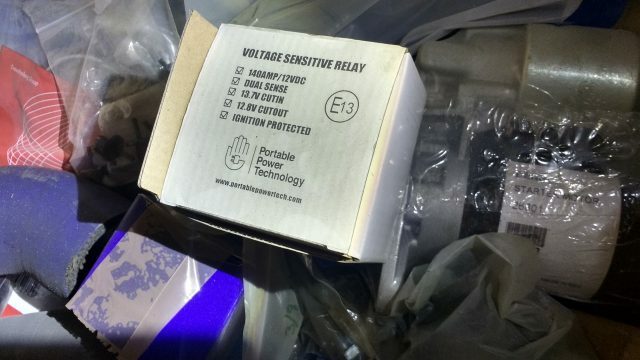 I’ve had a voltage sensing relay sat in the shed for about 2 years as well, I just didn’t hadn’t fitted it. Idiot. I had jump leads with me, and a passing van driver stopped to see what was up (I always try and do this if someone looks broken down, so I guess karma was on my side that day). With a jump start from his van, there was enough juice to run the ignition coil. 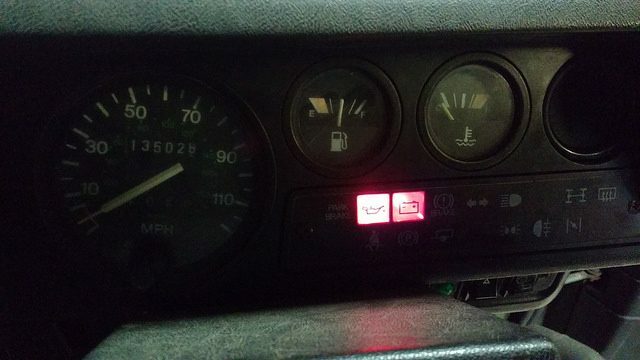 It only draws a few amps, so as long as I didn’t use the lights or anything the near-dead battery was able to keep the engine running. The 127 managed to cough and splutter its way to Fort William, where I tried to effect a fix. By the time I got there the battery was reading less than 10 volts – I was amazed it still ran to be honest. The wiring was all good, so something was amiss with the alternator. I tried to obtain a replacement, but the nearest new one was two days away. That’s two days I’d have to spend hanging around Fort William – I’d rather push the thing home than endure that! So that was it. The only option left was to abandon my pride and call the RAC. Being unable to fix my own car at the roadside is basically analogous to admitting that I’m both a useless human being and a failure as a man. Needless to say, I was not pleased. 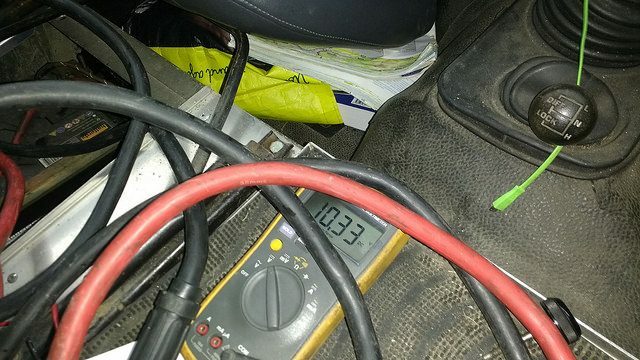 …but the small pin that should go live when the alternator is charging (thus dropping voltage across the charge lamp to zero) wasn’t connected to anything. 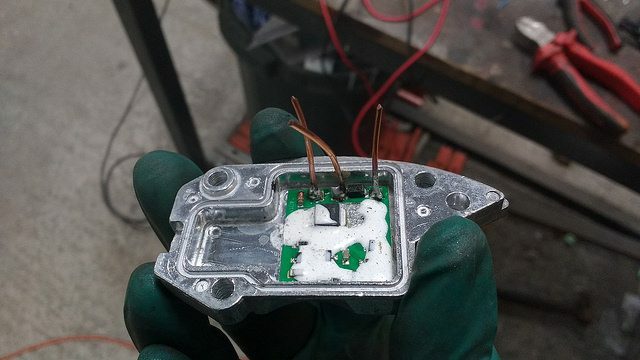 It turned out a soldered joint had failed in the voltage regulator. I took at least some comfort from knowing that, even if I had found the fault at the roadside, I wouldn’t have been able to fix it without a soldering iron anyway. With the offending wire replaced and re-soldered, all was well. Don’t have a manual leisure battery disconnect. If you consider only normal usage it’s fine, but an unusual failure could result in a ride home in the big yellow taxi of shame. I’ll be addressing this shortly. If you do need to call for the ride of shame, don’t tell your friends. The piss-taking will be merciless.